Russia’s Ural Airlines carried 467,200 passengers in March, up 22% on the same month in 2016. The growth rate slid slightly compared to 27.4% in February and 35.1% in January. The operator has provided no details as to the proportion of its domestic and international traffic. According to open sources, Ural Airlines performed 2,238 flights within Russia and 1,384 flights to destinations outside Russia during the period in question. The total number of flights grew 16% year-on-year, which implies that the seat load factor increased as well, in line with the trend observed across the Russian industry since the beginning of this year. The Federal Air Transport Agency reports that the load factor for Russian airlines grew 8.6 percentage points in January and February to 75.6% on average. Ural Airlines is Russia’s fifth largest carrier by traffic. Last year it served 6.467 million passengers, up 18.8% on 2015. The Yekaterinburg-based operator is consistently expanding its fleet of Airbus A320 family narrowbody aircraft, which currently consists of 40 aircraft: 22 A320s, 11 A321s, and seven A319s. There are plans to bring the fleet up to 50 airframes by 2020. 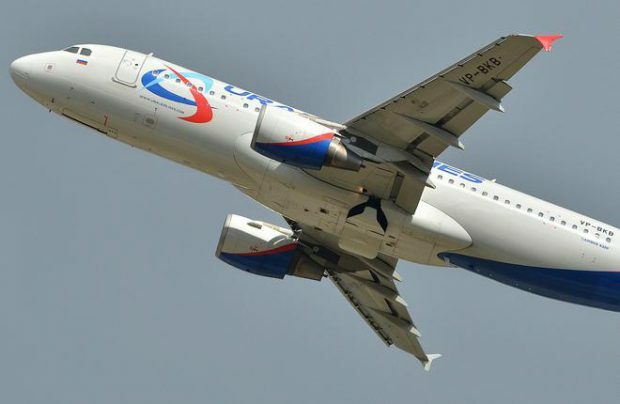 Last year Ural Airlines demonstrated the highest aircraft utilization rate among Russian operators of the A320 family. Each aircraft spent 11.49 hours in the air per day on average.